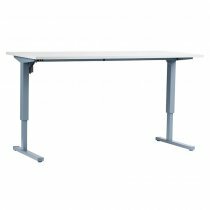 The Heavy Duty Corner Standing Desk is an L-shaped desk that can be used for sitting or standing. 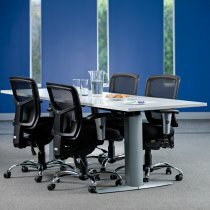 Flexibility and more space to move, this desk is idealistic for those wanting to improve their health and wellbeing. 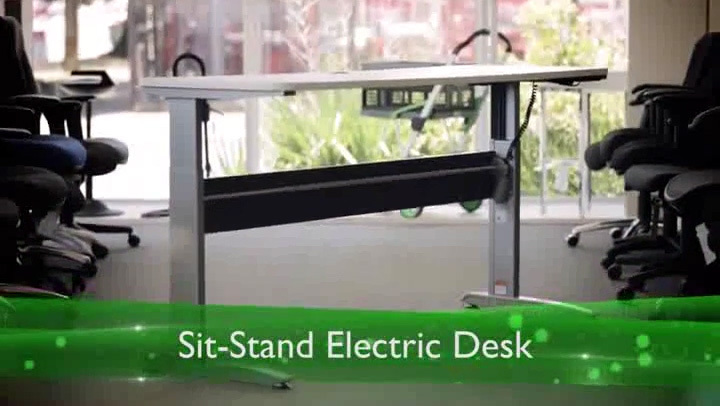 The Heavy Duty Corner Standing Desk offers both comfort and ergonomic benefits. Improve the health and wellbeing of staff as they will now have the option to either sit or stand – giving them the chance to move more and reduce back pain. 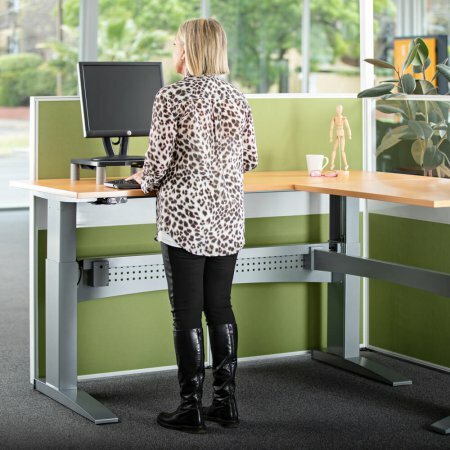 Improve work efficiency as staff will be able to glide between meetings if standing, and help decrease any pains or aches from being seated for too long. Smart safety mechanism where two buttons must be pressed to adjust height – preventing injury. Can be assembled left hand or right-hand side. Helps you easily change your work position. 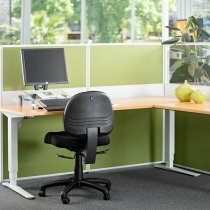 How to Assemble your standing desk? View the PDF below to learn how to assemble the electric desk frames.